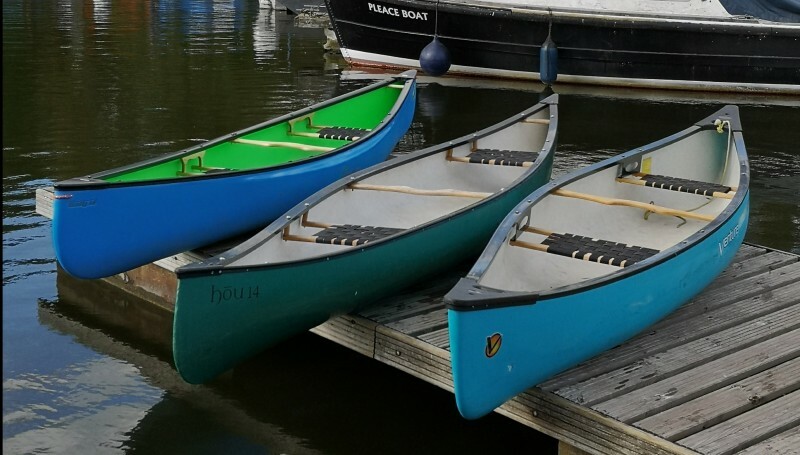 When it comes to open canoeing there is a wide range of options from various brands but deciding on which boat suits you best can often be a confusing task, particularly if you are looking at getting your first canoe. For new paddlers looking for a canoe to use on the Thames and local canals the most common requirements are usually along the lines of “it needs to fit two of us comfortably, plus a dog, but be manageable on my own” and “it needs to be easy enough to get on and off the roof of the SUV”. We are going to look at some boats from British manufacturers that strike a good balance between quality, cost and weight; The Hou 14, Venture’s Ranger 149 and Silverbirch Canoes Firefly 14. This isn’t an indepth review of each but rather a good starting place for those wanting to know a little about each. Up first we have the Hou 14. As far as open canoes go this boat fits the above criteria wonderfully. 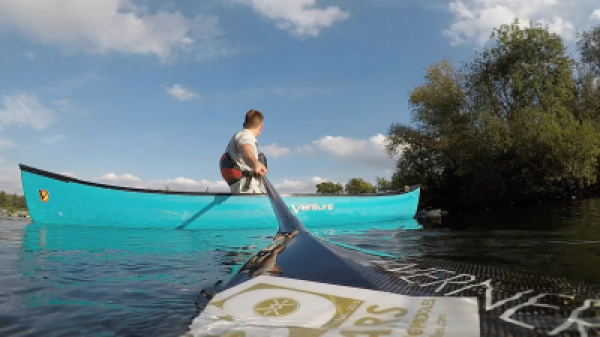 The low sidewalls of the boat mean that not only is the Hou 14 a very manageable weight at 26kg (approx), but also that the effect of any wind is relatively low when compared to larger boats, particularly useful when paddling solo. For many users the boats ability to track in a straight line is a blessing; at 14’ 11” and with minimal rocker the long water line of the Hou 14 results in the bow and stern of the boat being particularly prominent in the water. This does mean, however, that turning sharply requires a bit more effort or a bit more edge when paddling solo, something many new open boaters feel a tad less comfortable with. Ventures answer to the above criteria, the Ranger 149, comes in a little heavier than the competition, weighing 33kgs if you opt for their Corelite X material or 35kg if you opt for the standard Corelite material. 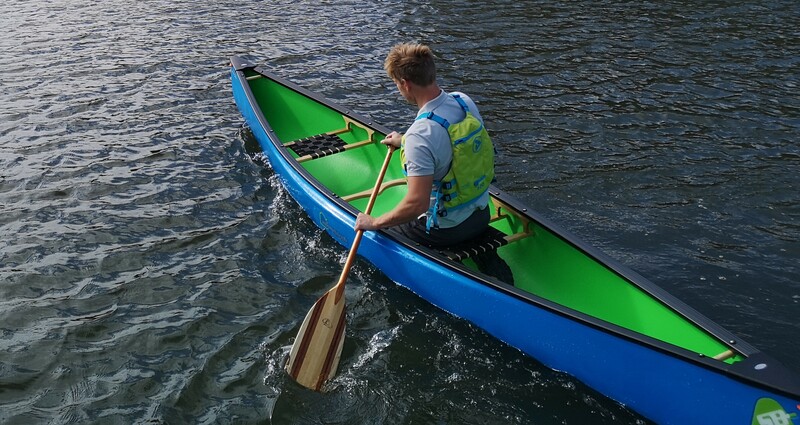 At 14’ 9” long and with higher side walls the Ranger 14 initially feels very secure, stable and forgiving, however for more experienced paddlers the boat can feel a tad tubby when paddling on flat water. The Ranger also has a considerable amount of rocker when compared to the Hou 14, meaning that quick changes of direction are easier to achieve, while paddling in a straight line is still relatively easy. Despite potentially feeling a bit slower on the flat water, the high side walls and rocker profile of the Ranger 14 makes for a remarkably good moving water boat. So if your after smaller open canoe to do a little bit of everything in, the Ranger 14 is definitely worth looking at. To summarize: if you’re looking for a super stable boat that can handle moving water, Ventures’ Ranger 149 is the ideal option. If your looking for a boat that goes in a straight line easily, with fantastic initial stability that is light and easy to manage then look no further than the Hou 14. Those of you looking for a sportier ride, that can paddle tandem if needs be but paddles brilliantly solo, then the Firefly may well be the boat for you. All these boats and more are available for demo at our river side shop, come down and try them out.